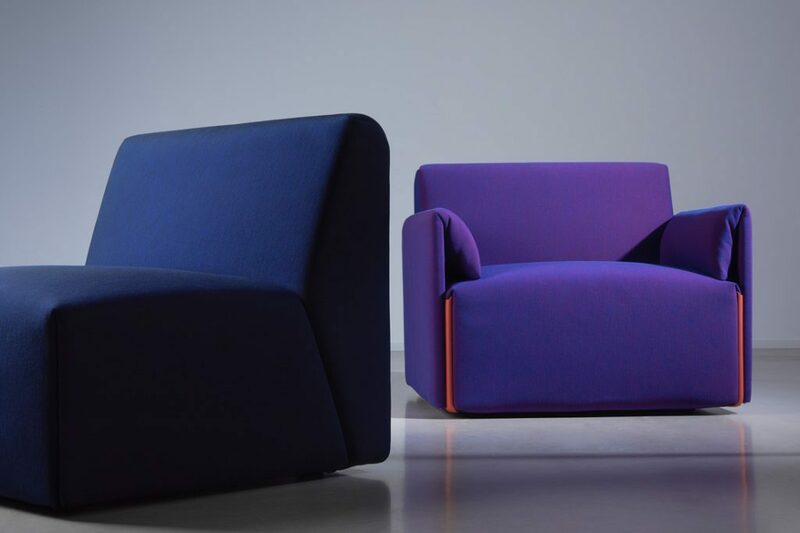 Magis' costume chair allows for easy reupholstery for a more closed-loop system. 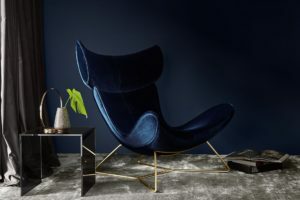 Danish brand Mater has launched the Ocean Collection – a retake of the 1955 design classic by Jørgen and Nanna Ditzel, but made with ocean plastic waste. The chair and tables in the collection are made with discarded nets brought by the fishing industry to the world’s only recycling plant for fishing nets, located in Denmark. 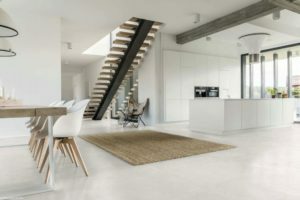 Mater had searched for a design that could fit the recycling plant’s production methods, and found it in collaboration with Dennie Ditzel, daughter of Nanna and Jørgen. 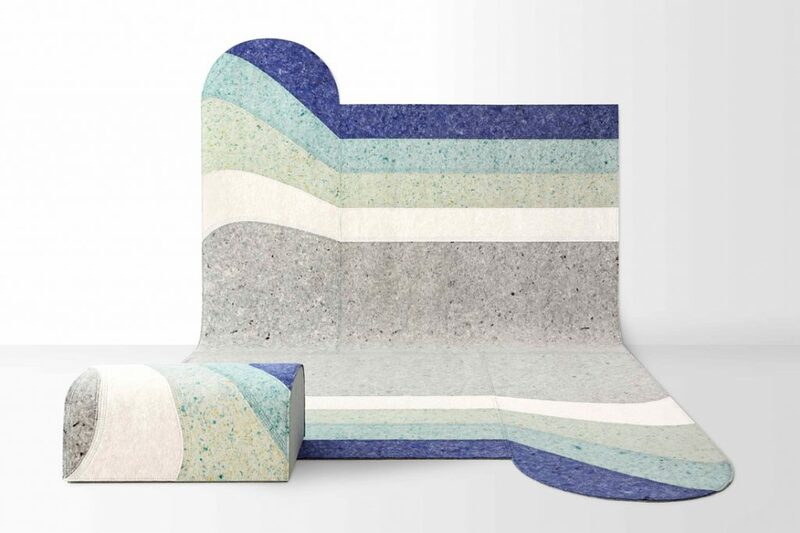 One Ocean chair uses 960 grams of ocean plastic waste in its slats, which sit atop a metal frame. The original design from 1955 was made up of a steel frame and timber veneer. The reissues of the pieces have been scaled up by 5% to accommodate modern proportions, but otherwise the form remains the same. 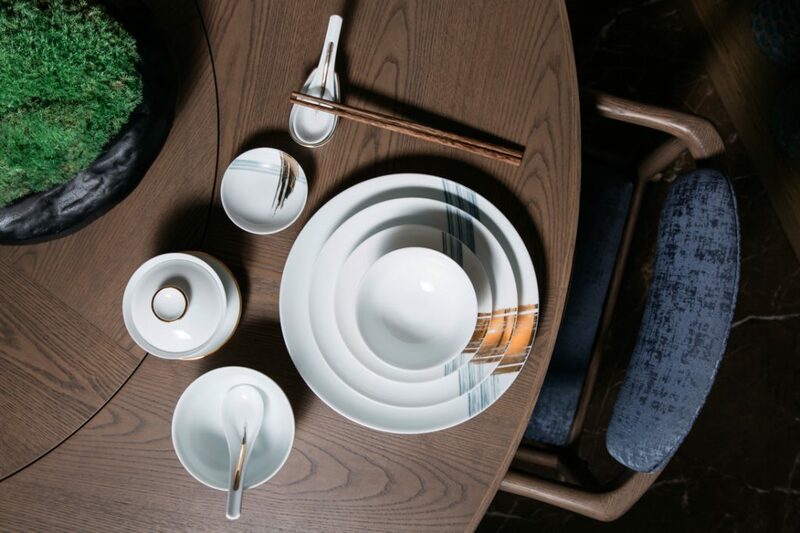 The collection was designed for disassembly and recycling at the end of its life. Mater is available from Cult in Australia. 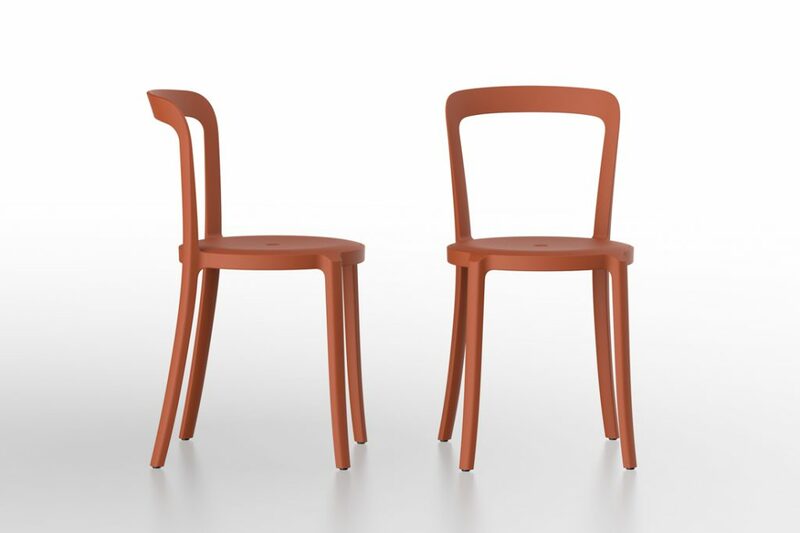 Kartell recently formed a partnership with Bio-on, an Italian manufacturer of biodegradable bioplastics. Bio-on works with renewable plant sources but doesn’t compete with food supply chains, it says. Its stated sources include including molasses, sugar beet and sugar cane syrups, fruit and potato waste, carbohydrates, glycerol, waste frying oil and even carbon dioxide from the atmosphere. 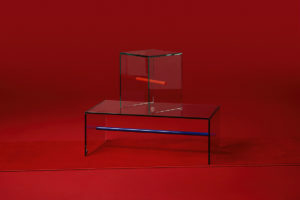 At the Salone del Mobile, Kartell presents one of its most popular products made anew with bioplastic. 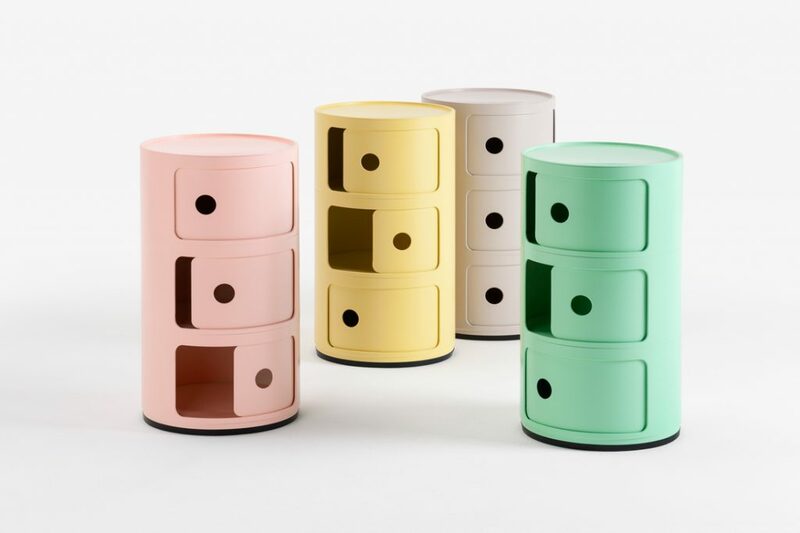 Bio Componibili, originally designed by Anna Castelli Ferrieri in 1967, is now available in four colours. Will we see more bioplastic products from Kartell next year? Kartell is available from Space Furniture in Australia. 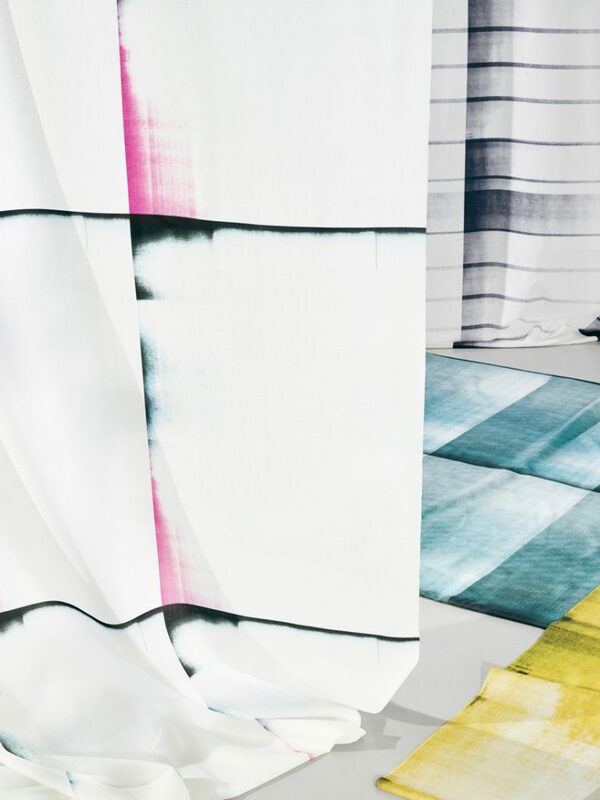 Japanese graphic designer Rikako Nagashima has developed a curtain collection for Kinnesand Lab using 100-per-cent recycled polyester. 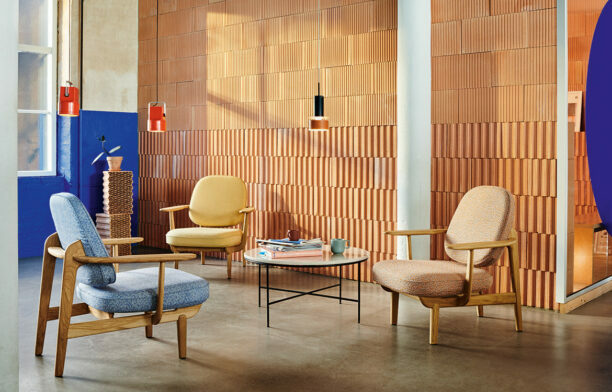 Kinnasand is the residential collection under Kvadrat – a brand that has a firm gaze on environmentally responsible design. With Scrap_CMYK, Nagashima takes inspiration from, and gives new life to, ‘waste’ test-print paper sheets from the off-set printing process, celebrating their accidental patterns. 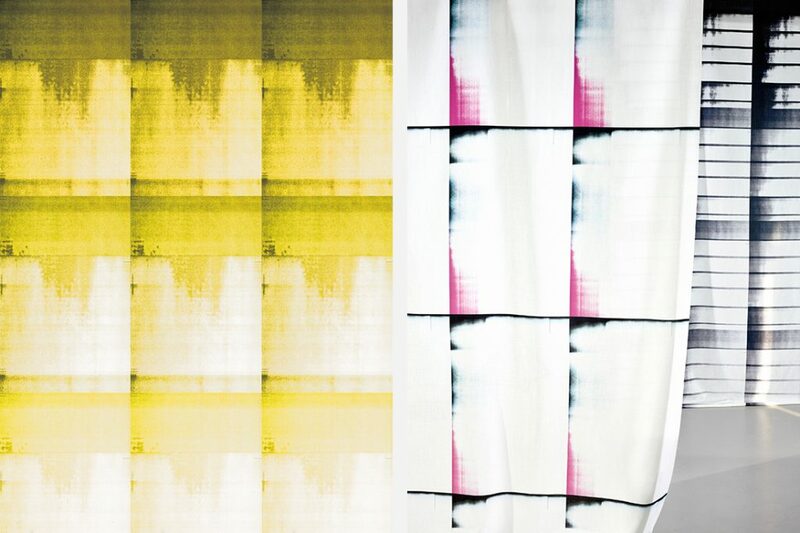 The digitally printed Scrap_CMYK curtains are precisely colour matched with the inks used in off-set printing. Each design is linked to a specific colour setting. The woven ground material for the curtains is made from used plastic bottles. The textile has a crepe-like character reminiscent of matte, sandy paper. 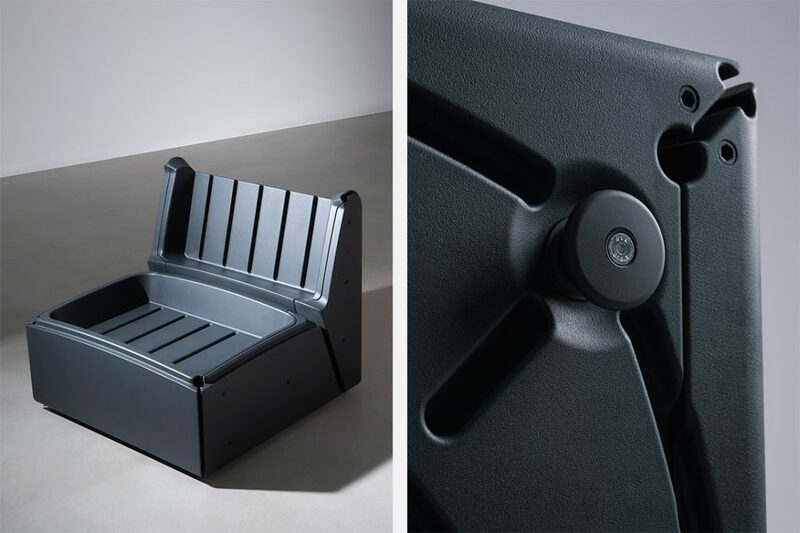 Emeco makes things to last, and its new product designed by Barber & Osgerby attests to that. On & On is a collection of stackable chairs and stools that combines longevity of design, durability and the use of recycled materials that can be recycled – on and on. 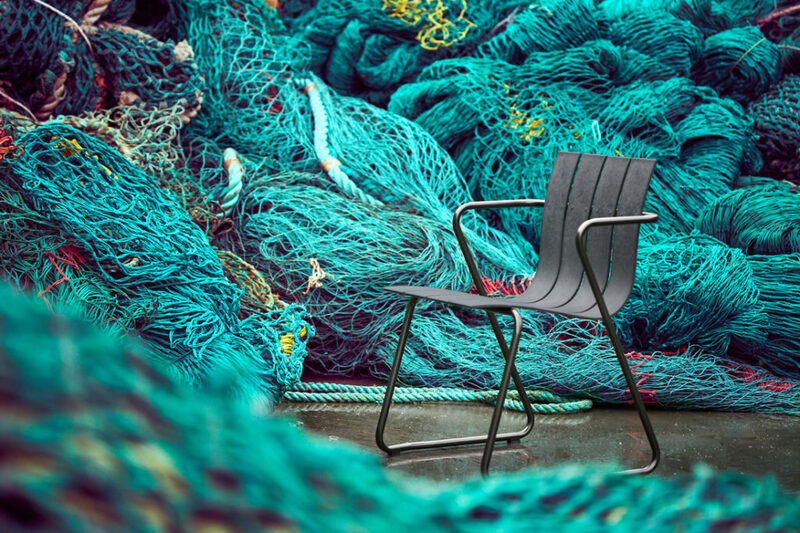 Emeco first used recycled PET (‘rPET’) to make the 111 Navy Chair in 2010 and has been working to improve the material for longevity and durability since then. 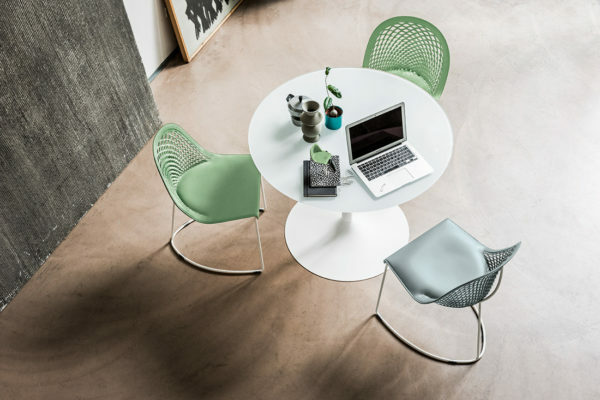 The On & On chairs and stools are made of 70-per-cent rPET – waste plastic bottles that would otherwise end up in the landfill, 10-per-cent non-toxic pigment, and 20-per-cent glass fibre for strength. The material’s durability makes it suitable for both outdoor and indoor use. Plywood (in oak or ash) and upholstered seat pads can be added for indoor use. 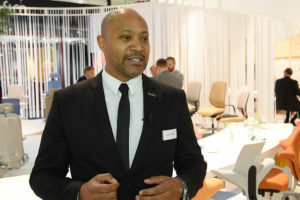 Emeco’s ultimate goal is closed-loop recycling, and it is working on a chair-to-chair program in the US so that old chairs can be returned and fed into the production loop for new ones. 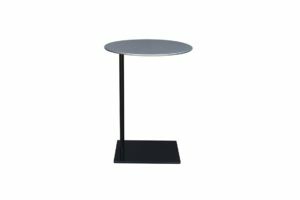 Emeco is available from Space Furniture in Australia. 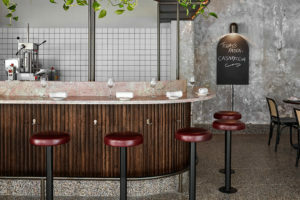 In a new collaboration, Brisbane-based design studio Luxxbox has created an acoustic light for stalwart European company Panzeri. The shade for the new pendant, called ZigZag incorporates recycled plastic in its fabrication. 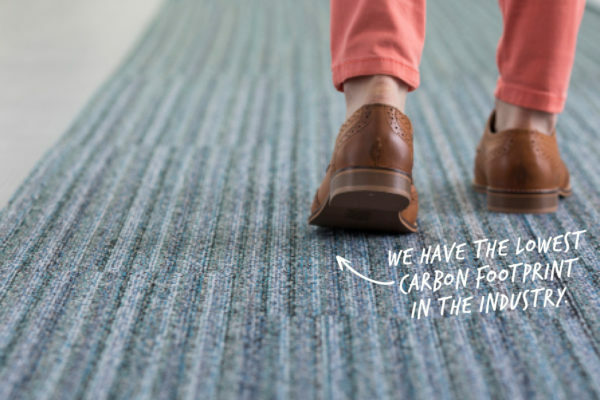 An important inclusion for sustainability credentials but also a good material for helping to deaden sound. 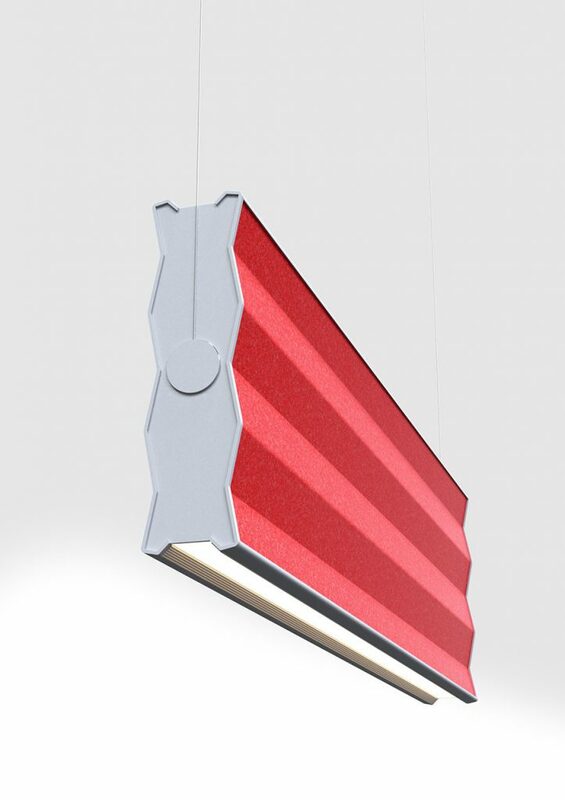 Panzeri called on the expertise of Luxxbox’s founder Jason Bird, as he has developed considerable expertise in the acoustic lighting space. This new product is an extension to Panzeri’s range. Luxxbox distributes directly in Australia and Panzeri is available through Light Culture. 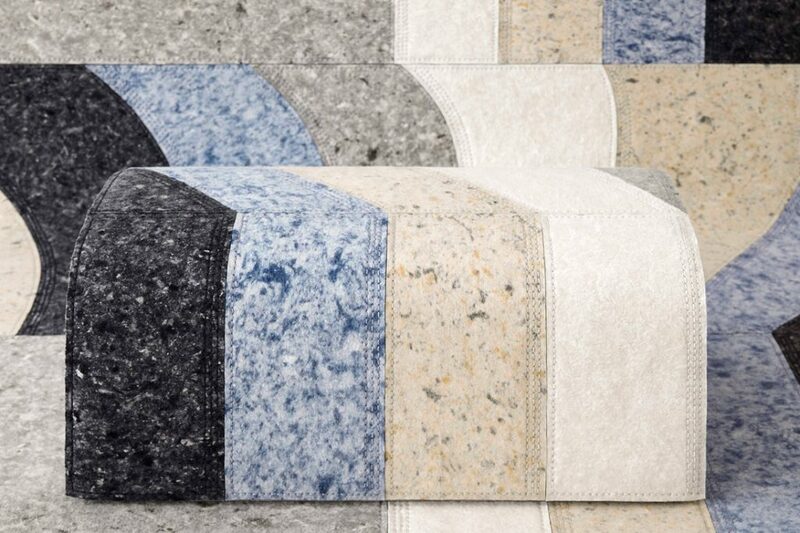 Patricia Urquiola pushed for the recycling of discarded fibres in her latest project for GAN. 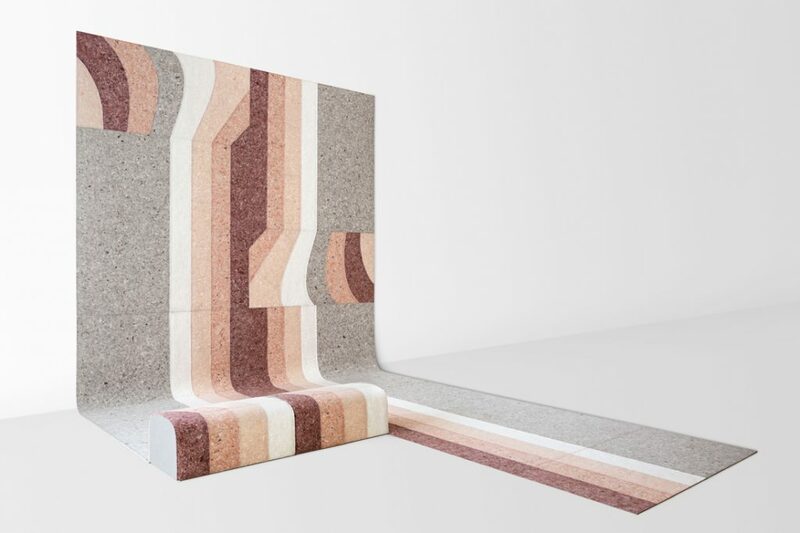 The Nuances collection of rugs (and pouf) involved some rethinking about the typical felt production technique, which has allowed Urquiola to merge different colours and densities of wool to achieve a stone-like appearance. After the material adaptation was mastered, she played with line and colour to create three rugs (Curve, Line and Round) in three colourways (rose/burgundy, green/blue and earth/lava) that can be mixed to create a variety of patterns. Nuances is entirely sewn by hand. GAN is available through Hub. Stefan Diez has designed a componential modular sofa for Magis with a view to the replacement of parts for a long life. Costume has a 4mm-thick structure of recycled and recyclable polypropylene, and a removable upholstery cover. 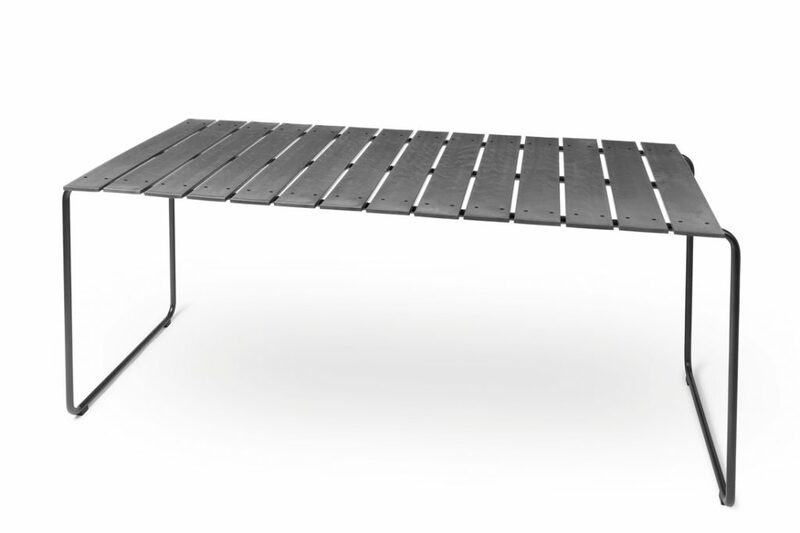 The singular structural unit can be interlocked in various configurations or extended with armrests. The cover enjoys a snug fit over the structure with elastic loops hooked into the bottom, which also allow its easy removal for washing or replacement. The use of synthetic foam has been minimised through the incorporation of embedded pocket springs. All parts are separately replaceable. 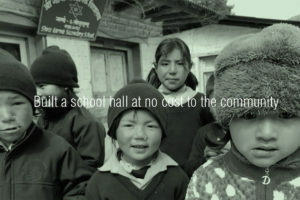 Photos by Daniela Trost. Magis is available from District in Australia. 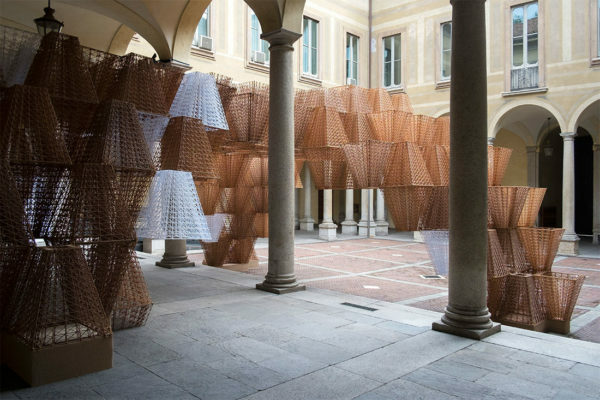 For more updates on the latest design products being shown at Salone del Mobile Milan, follow along at #MilanIndesign2019.